Russian driving sensation Daniil Kvyat has put his stamp on the European Karting Scene by winning the prestigious Winter Cup in Italy. The Russian contingent were out in full force on the circuit of the world famous Garda track, which shares its name with the renowned Italian lake nearby. The event itself featured three international categories – with Yury Grigorenko producing the 57th best qualifying time out of 112 in the KF-2 category. His compatriots fared much better in the KF-3 class – with four Russians cracking the top 20. Daniil Kvyat was best out of that bunch, finishing second in qualifying. The racers were then split into groups and sub-groups, with only the best out of the selection surviving the many heats to meet in the final race. 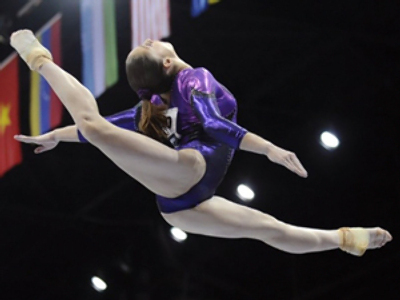 The complex format, which essentially features several competitions in one, is due to a large number of participants wanting to try their hand on the track. Russian favorite Kvyat was pinned back to 10th place at the start of the group semi-final. That didn’t stop the up and coming driver from finishing first to secure pole position in the final, recovering from a collision with teammate Eduard Fralenkov in the earlier heats. And Kvyat led from start to finish in the ultimate race of that class – with Rafaelli Marchiello the only challenger coming close during those 28 laps, the same speedster who finished ahead of the Russian back in qualifying. It was Kvyat however who raised the winter cup in Lonato, one of the most prestigious European race events. “The fact that a Russian kid groomed in the local driving system won the Winter Cup is huge for Russian karting as a whole,” said Pyotr Aleshin from the Russian Karting Association. 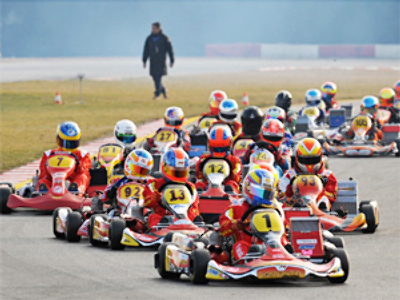 Karting is often seen as a gateway to bigger and faster competitions, such as Formula One. And with the Daniil Kvyat-led Russian contingent making a strong showing the lane could eventually be wide open into the higher echelons of motorsport.